PredatorWill Missouri's War Against Feral Hogs Work? Missouri has declared war on feral hogs, with a record number of porkers killed in 2018 via hunting, trapping and even snipers in helicopters. Pockets of feral hogs are found here and there in the Midwest. It's definitely not like in the Southeast and west to Texas and Oklahoma. In states where the porcine invaders haven't taken an overwhelming foothold, wildlife officials are trying their darndest to keep them at bay. The Missouri Department of Conservation is doing just that, and the results are pretty impressive. In 2018, the MDC documented the elimination of at least 9,365 feral hogs by the department, agencies in partnership with MDC, and private landowners. That's a sizable increase from 2017, when 6,561 hogs were killed, and 2016 when 5,358 were killed. Hunters contributed to the 2018 tally, but MDC placed some restrictions on hunting to help with its broader trapping program. The intent was to limit scattering of sounders, thus increasing the chance of catching the group in a trap. All efforts contributed to the increase, though, including USDA Animal and Plant Health Inspection Service sharpshooters killing more than 100 last December from a helicopter. The MDC's latest strategy? Creating six zones to more intensely focus on trapping along with communication and partnership with landowners and other agencies. The agency said Zone 1, which is near Truman Reservoir and Stockton Lake, has seen a significant decline in the number of feral hogs. One hog can damage an agriculture field by rooting up the ground and destroying planted crops. A sounder of 20 or more adults and juveniles can, in one night, do even more damage to the point of financial loss. Several years ago in Alabama a landowner had pines planted in rows on several acres; feral hogs snooted up the young plants and ate just the tender roots. Similar to the MDC, the landowner declared war on the hogs and began aggressively trapping and hunting them year-round. 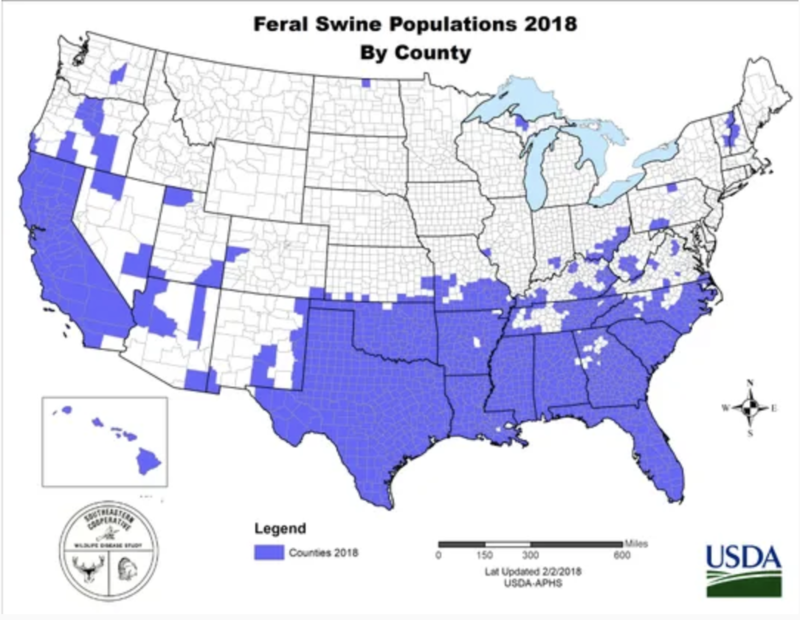 “A persistent piece of this story is continued illegal releases of feral hogs, which establishes populations and further spreads the problem,” McLain said. “This is illegal and when caught, those who release feral hogs face hefty fines. 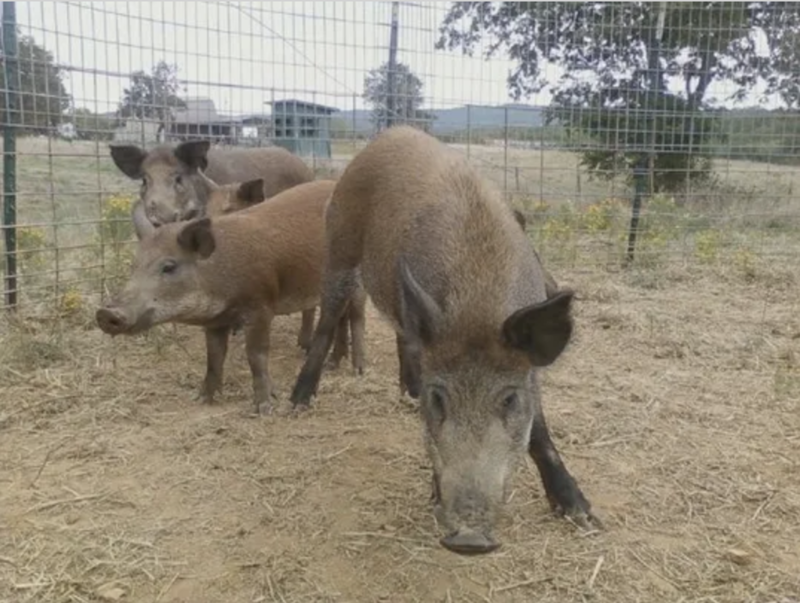 Landowners who’ve experienced feral hogs on their land have learned that hunting feral hogs, especially with dogs, pushes them onto neighboring property, which causes problems for their neighbors."